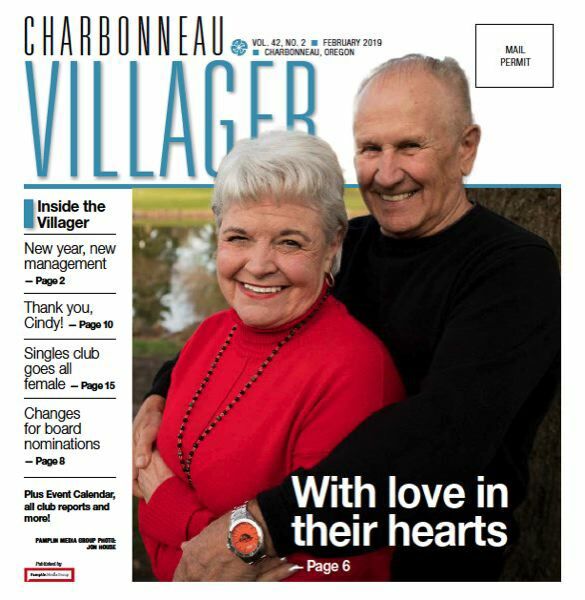 The Charbonneau Villager is the newest newspaper to be produced by the Pamplin Media Group. The Charbonneau Country Club has entered into a partnership with the Pamplin Media Group to produce their monthly newspaper which serves as the connecting point for local residents. The monthly publication is mailed to every resident and business in the community of Charbonneau located just south of Wilsonville, Oregon. The Pamplin Media Group's Wilsonville Spokesman news and advertising team will take on all responsibility for producing the newspaper. Owned locally by Dr. Robert B. Pamplin Jr., the addition of The Villager to Pamplin Media's family of newspapers is another example of the company's mission to support and grow great local journalism. The Pamplin Media Group includes 25 local newspapers and websites reaching 1.1 millions readers every week in Oregon. The company is family owned by local businessman and philanthropist Dr. Robert B. Pamplin Jr.
Dr. Pamplin believes in the value of strong local and independent journalism which is why he has invested heavily in creating Oregon's largest source of locally focused newspapers and websites. "Our newspapers and websites provide an important sense of community with powerful story telling and reliable reporting. Our hope is that by keeping our readers informed about local issues, we can help to create a close-knit community that shares a common hope, goal and purpose - to make our communities the best places that they can be," he said.